ADVISE DESIGN PLANT RENOVATE A designer since 2004, Nikki uses her arts background to help you to a beautiful, well designed garden maximising your outdoor living space to enable you to enjoy it all year round. She has recently moved back to her home county Buckinghamshire and covers the Oxfordshire area too. Hendy Curzon Gardens install, plant and project manage the gardens, landscapes and exterior spaces that they design. All elements of these bespoke projects are covered in-house. As a diverse and dedicated team of garden designers and landscapers, they pride their company on the long term commitments to the landscapes and gardens that they create. Each project designed and constructed by them is a unique and direct reflection of their individual client's needs and signature styles. Many of these client's homes and gardens have gone on to feature in both national and international magazines and book publications. A selection of Hendy Curzon's projects can be viewed here on Houzz and their full vast range of works on their website. Their work clearly illustrates a group with an integral multi-season design doctrine. Winners of Houzz Design & Customer Services awards, streams of testimonials, and glowing reviews from their clients is testament to the company's determination to provide and uphold an excellent standard of service for all that appoint them. MISSION We are an Oxfordshire based firm that is passionate about creating bespoke, timeless gardens. Whether situated in the countryside or in town, big or small, Rald is committed to working with you to find a unique design solution that is sympathetic to your existing or proposed property and its surrounding landscape. We are passionate about designing a space that inspires you and that you can enjoy year-round. Even after your garden is designed and implemented, we enjoy a long standing relationship with our clients to ensure their satisfaction as their garden grows. BACKGROUND After completing a degree in landscape design Rory went to work for Hampshire based design firm, Taylor Tripp. At this company he was responsible for a large number of private residential projects, from design conception through to monitoring the build of the gardens. These projects were typically based in medium to large country gardens set around predominantly period homes. I design well considered, elegant gardens & landscapes from courtyards to large estates & work in both residential & commercial spheres. Mine is a successful garden design company & I work with a team of highly capable landscape contractors who implement my schemes. Schemes vary from contemporary & minimal to classical not forgetting restoration. Clients are always delighted which is proven by the amount of referral work & repeat business we achieve. I listen to what the client wants & produce bespoke stylish designs to suit the lifestyle of the client & the plot itself. Architectural influence is very important - the garden must work in harmony with the building. It's a job I love - I am very lucky! 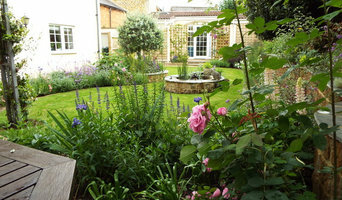 Founded in 1994, Babylon Design specialises in designing, building and maintaining private gardens. During the last 20 years Babylon has transformed over a hundred drab, barren and overgrown gardens into vibrant, beautiful and sustainable spaces to be enjoyed by their owners. Gardens vary from small courtyard gardens to country estates covering dozens of acres. Central to our approach is an appreciation that beautiful, low maintenance, successful gardens need to relate to their environment, the buildings and their surroundings. The clients needs and wishes are also incorporated to develop a garden that works horticulturally and aesthetically. 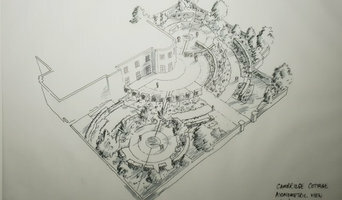 Babylon Design has been involved in two medal winning gardens at the Hampton Court Flower Show. Working alongside another landscaping company we designed and supplied the planting to complement the design and hard landscaping. Babylon Design also has a sister company, a wholesale nursery growing hardy plants, giving us access to thousands of species of plants at wholesale prices for use in our schemes. Working with plants so much of the time also gives us a far wider knowledge of plants and their attributes than most garden companies. In recent years, our love of nature has inspired us to take on more naturalistic schemes such as woodlands and meadows as well as to use native plants in domestic situations such as green roofs and moss gardens. * Dear kind enquirers, Just to let you know, I am moving at the moment, and it is fairly complicated! It may cause me to take a bit longer than normal to reply, but please keep enquiring, and I will respond as soon as I can. Many thanks. My name is Karsten Tomkins. I’ve been growing plants since about the age of 7 and have been a professional gardener since 1996! Whether you’re looking for specialist consultation for advice and tips or a full planting design, I’m here to help. I take a personal and enthusiastic interest in your garden, working closely with you to achieve the desired effect. I’ve gained a wealth of practical experience over the past 22 years, and I’m passionate about sharing my knowledge with others. I also hold a National Certificate in Amenity Horticulture and Landscape Construction (NCHA). I offer a range of services depending on your garden, budget and requirements. GARDEN DESIGN / PLANTING DESIGN from £350 - £2,000 Anything from simply a new planting plan, through to a full complete garden design. This includes an initial two hour site visit and consultation with you. The cost of this is £80, and half of this will be offset against the cost of the design should you wish to go ahead with the assignment, making the cost of this initial visit £40. This is carried out in stages, the next of which is an outline plan. If you approve of this, then I will go ahead with the full design. SPECIALIST GARDEN CONSULTANCY - From £40 per hour This is an advice-only service where I’ll visit your property and give advice on planting, care and treatment for any desired aspect of your garden. SPECIALIST GARDEN WORK (ongoing or one-off) - £25 to £30 per hour I take on a range of work from basic maintenance to jobs that need specialised horticultural knowledge. Maintaining plants properly is rarely done, but it is the only way to get the best out of them! You may also require help with pests and diseases, or difficult weed eradication. Planting is also rarely carried out properly, and many plants have very specific requirements. You can get away with much in a garden, but only the best methods produce the best results! I can also help you with your indoor plants. I may work outside the areas covered in my listing, please enquire. Member of the Royal Horticultural Society. I design gardens with sophisticated twists that reflect both the client, the surrounding landscape and complement the history and architecture around them. I don’t have a style of garden. I like to leave that to whatever my discoveries unearth as I start to work with you. We will look at the space from all angles, from upstairs as much as downstairs, from inside as well as out. I will understand how you like to dress your home, and artefacts that might define you and the space around you, from a holiday picture, to a piece of art you love. Any and all of this will inform the designs that I create, alongside your own ambitions and aspirations for the space you have. I create always create a design that errs on the side of practicality for maintenance purposes; after all who wants to spend all their time working in the garden. Considerate of the natural world I work hard to make green spaces good places in every sense of the word: good for flora and fauna, ethically sound materials and using local and skilled craftspeople to help conjure up our creations. Transforming your garden may feel like a big task, but give me a call and I’ll walk you through it in a way that not only makes it seem easier but that also fills you with a sense of excitement around what it will become. A landscape architect will handle all design, supply, construction and administrative elements of your garden or landscaping project. They will take into account your needs, the Chinnor, Oxfordshire climate and unique advantages and constraints of the landscape architecture. Typically, work will be based on ecological and environmental considerations, and a garden will be planned not only to look its best but also to facilitate future maintenance and growth so that it continues to flourish. 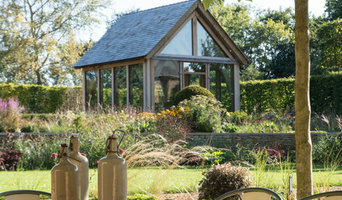 A Chinnor, Oxfordshire landscape architect can also design any outdoor buildings that are to be featured in your garden. Everything from design blueprints through to the plants themselves should be provided by your Chinnor, Oxfordshire landscape architect. If there is other architectural development taking place on your site, bring the landscape architect in as early as possible. The expertise a landscape architect can apply to understanding your space and the natural environment could be vital to planning your project. Let your Chinnor, Oxfordshire landscape architect work closely with your architect, surveyor and any other contractors in order to develop landscape architecture that works in accordance with any other construction. This is important from a design perspective as well as on a practical level – changes to the grading of a landscape and modifications such as drainage can have serious implications on the viability of your land for extensive building and structural works. In order to resolve any planning permission issues, submit all applications for building and landscape architecture together, well ahead of the project. The scope of garden designers, or landscape gardeners, is often more limited to green space projects which will optimise your existing outdoor space rather than altering the landscape architecture as a whole. Whereas landscape architects specialise in the structural aspect of garden planning and building, garden designers in Chinnor, Oxfordshire will carry out projects that are of aesthetic and horticultural value. Landscape gardeners will make your garden the best version of itself with features such as walkways, patios, water features, fences and lighting, as well as choosing the right plants, trees and flowers. The practical role of a garden designer may vary by firm – some offer just the plans, requiring a separate contractor, while others fulfil the project in its entirety, from conceptualisation of the landscape gardening to construction. Don’t be put off by the former if you happen to find a good Chinnor, Oxfordshire garden designer that you like – he or she will have local industry connections to introduce you to quality, reliable gardening professionals with whom they have existing relationships. Here are some related professionals and vendors to complement the work of landscape architects & garden designers: Landscape Contractors, Garden & Landscape Supplies, Tree Services, Lawn & Sprinklers, Decks, Patios, Sheds & Summerhouses. How do I choose landscape architects or garden designers in Chinnor, Oxfordshire? When choosing your Chinnor, Oxfordshire garden designer or landscape architect, be sure to research their qualifications and look at examples of their previous work. A portfolio of previous landscape architecture or garden projects is important to ascertain both their credentials as well as their style. Once you have shortlisted or chosen your architect or designer, an on-site meeting is essential so they can see exactly what they’ll be working with. Stay briefed on all plans and developments, both before and during the project as a plan you approved previously may change during the course of the project. Be very clear on your budget – just like plans, costs may alter while work is underway so ensure your professional keeps you informed and does not incur additional expense without approval. If you are open-minded and budget-conscious, consider approaching new graduates keen for experience, who may negotiate a lower rate than more experienced professionals. How long have you been landscape architects or garden designers in Chinnor, Oxfordshire? Find a landscape architect or garden designer on Houzz. 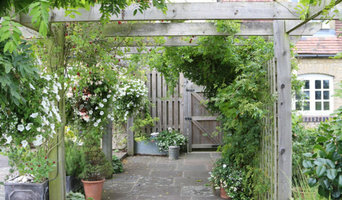 Narrow your search in the Professionals section of the website to Chinnor, Oxfordshire landscape gardeners. You can also look through Chinnor, Oxfordshire photos to find a garden you like, then contact the garden designers in Chinnor, Oxfordshire who worked on it.